Is A Slate Roof Right For Your Residence? A.B. Edward Ent.abedward.com Is A Slate Roof Right For Your Residence? A.B. Edward Ent. Is A Slate Roof Right For Your Residence? Is A Slate Roof Right For Your Residence? A.B. Edward Ent. As Chicago slate roofing experts, we enjoy offering our customers guidance and support. After all, we’ve been installing slate roofs for fourteen years now! Over the years, we’ve helped our clients to understand the pros and cons of all of the roofing materials that we install, repair and maintain, including natural and elegant slate. Today, we’d like to help you decide whether or not slate is the right choice for the roof of your home. It’s definitely a special roofing material which is prized due to its upscale beauty and performance. To help you get a sense of what slate offers, let’s talk about its attributes. If you have more questions, please call or email us today. We’re Chicago slate roofing experts and our company has a perfect ranking with the BBB. We’ll offer you professional advice, along with the best installation, repair and maintenance services. You may trust our company! Slate roof tiles are beautiful because they are natural. They are also durable and long-lasting. Slate is known for its ability to enhance all styles of architecture. Also, there are a range of natural slate hues to choose from. These shingles are shaped by artisans in order to fit specific roofs perfectly. They may be produced in various sizes and thicknesses. Slate looks great and stays looking great! 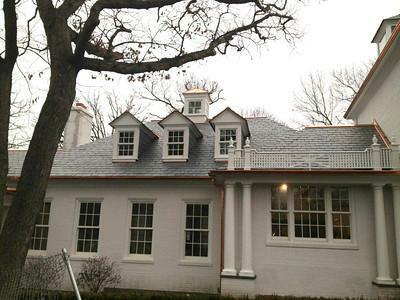 It’s not uncommon for a slate roof to last for a century and a half! This is why people are willing to pay a bit more than average in order to access the advantages of slate. When you add a slate roof at your property, you’ll boost its overall value. If you’re planning to sell your home someday, you’ll find that you can ask for more money because of the slate roof. It’s going to attract the interest of buyers! Now, every roofing material has some cons, so let’s talk about the drawbacks of slate roofs! Slate is heavy, so you’ll need to know that your home is structurally strong enough to carry the weight. As well, you’ll need to ensure that you choose an installation company, which is top-notch. Slate is heavy and your installation team will need to know how to work with this material. It needs to be attached securely. Luckily, we’re able to take care of professional slate roof installation for you. We’ll deal with the drawbacks so you don’t have to. What we will provide is a beautiful new slate roof which is designed to last for ages and look wonderful. So, why not call or email for a free estimate today? 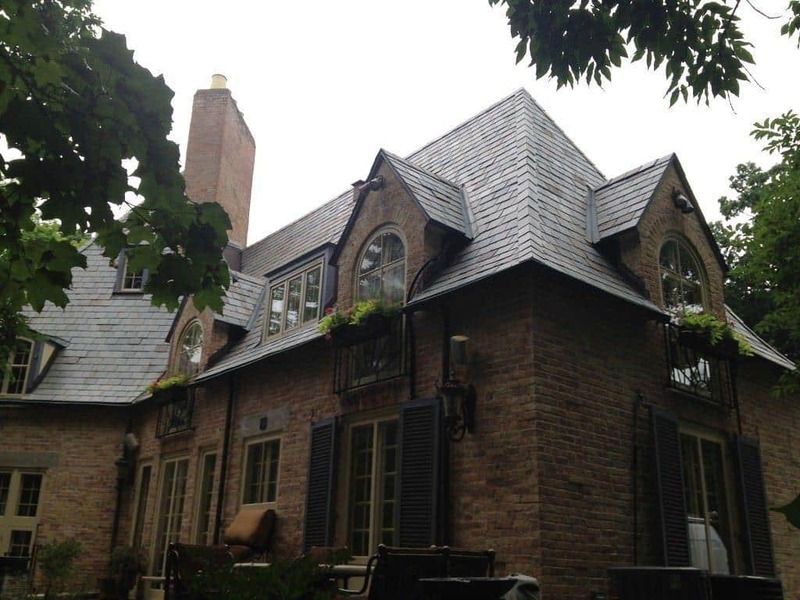 We have been installing custom slate roofing in the Chicagoland area since 2003. We have an unblemished A+ BBB Rating.